John “Jay Mello” Melvin is a graduate of the Omega Studios’ School of Applied Recording Arts & Sciences, as well as the Creative Services Assistant at Disney ABC Television Group. In one of our previous blog posts, we talked about John and his career successes. After graduating from the Omega Studios’ School, John went on to be accepted into the coveted National Association of Broadcaster’s Education Foundation (NABEF) Internship. Each year, the NABEF’s Technology Apprenticeship Program accepts 10 students from across the United States to participate in a cross-country tour to get hands-on experience in different broadcasting studios and the latest in broadcasting technology. John was one of the few selected to participate in the program, and soon he was heading out to different cities including Los Angeles, Washington, D.C., and Las Vegas to attend the NAB Convention. As a part of the Internship, John was given the opportunity to work with various types of broadcast technology. 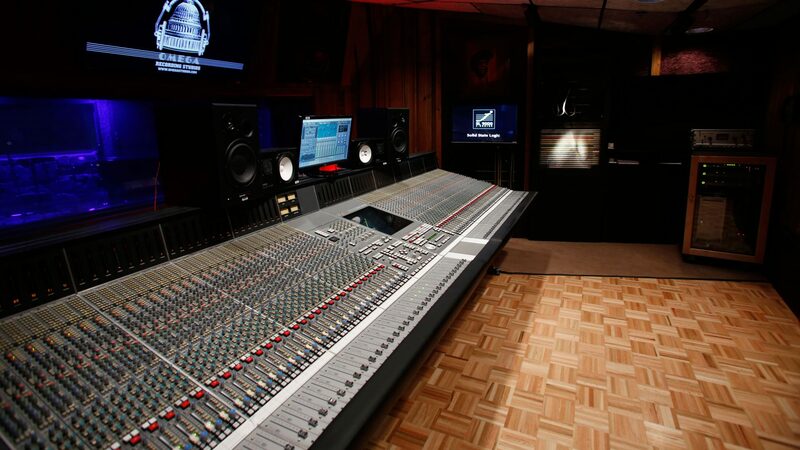 However, John states that his experience in Omega’s Audio for Film and Television Program and on Studio D’s D-Control Console provided him with the best experience. The Avid S6 M40 Control Surface is the board he uses at Disney, and it happens to be the successor to the D-Control. John uses his knowledge of Audio Post Production to work on a variety of television shows and other material for Disney and ABC. John found his passion for Audio Post Production when he was working as a Front of House Engineer at the Howard Theatre in Washington, D.C.. John was able to receive hands-on experience working on various productions, as well as the television show “Call-time”. Since graduating from Omega, John has had the opportunity to hone his skills in audio and pursue his dreams of becoming a professional Post Production Audio Engineer. As he continues to work at Disney ABC Televison, we know he will use wealth of skills and knowledge to become a success. “On my first day at the Disney/ABC Television group I was thrown right into the mix. I was shown the office where I’ll be spending most of my time. It’s a Laboratory spec, acoustically flat room using the latest Pro tools HD system outputting in 7.1 surround sound and has an Avid S6 M40 Control surface. My supervisor and I received a reel from The Radio Disney “Rocks My House” show, our duty was to take the production to the next level. Immediately we organized the session, monitored the content for the best takes, checked the video sync and eliminated any audio that wasn’t needed. Once we felt satisfied with how the music and dialogue sounded, we began doing sound design for the show. We selected our sounds from a library to “sweeten” the production especially in places where musical cues didn’t exist. The Following morning we reviewed our work from the previous day in order to have a fresh ear, a few adjustments were made then we created a stereo and 5.1 surround sound mix. Our clients came by with their entourage for a special screening and were delighted with the work that was done.